Despite its growing influence and political significance, there is surprisingly limited effort on the part of politicians and political groups in courting this segment of the population. Political parties and running candidates rarely invest in reaching out. During the 2016 election, only 33% of Asian Americans said they had been contacted by a partisan organization, compared to 46% of general population. Such lack of quality engagement explains the persistent disparity in voter turnout. Almost 70% of the Asian Americans are foreign-born new immigrants. Among those who are eligible voters, many have fled their home countries with unsavory authoritarian past. While voting and democracy itself can be a foreign idea, they tend to be less plugged into their local elections, and even less tuned into the national politics. 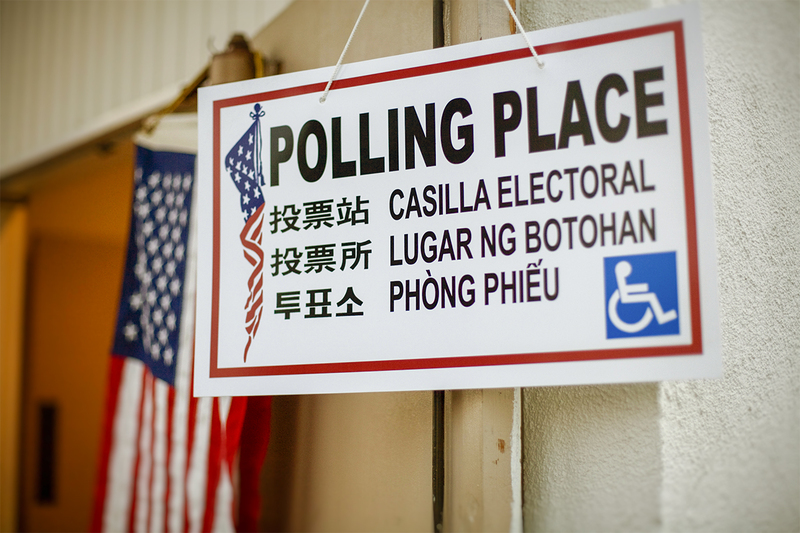 Nearly one-third of Asians are limited English proficient, meaning they speak it “less than very well.” During the 2016 election, as many as 60% of non-English speaking voters said they preferred language assistance when voting. Such language barriers have prevented them from fully understanding and participating in the electoral process. If the Asian American population is an untapped base, what are the opportunities that politicians and campaign strategists might be missing out on? How might Asian Americans make a difference in upcoming races and elections? Does this segment group offer a potential to shift the electoral future of the country? The Asian American population has the highest income and education levels, earning a median household income of $74,245 (38% greater than the national median). This segment also has an estimated buying power of $825 billion that is expected to grow to $1.1 trillion in 2020 (6.7% of total U.S. buying power). Over the last 10 years, Indian-Americans, who currently earn the highest average household income, have become more active in the political arena as donors and as running candidates. Although the voting bloc receives little contact from political parties and candidates, there has been a significant increase in voter enthusiasm over the years. While only about 28% of Asian Americans said that they were “enthusiastic about voting this year” in 2014, the number went up to 48% in 2016. When asked about the upcoming midterm election in November 2018, 90% of Indian-American voters said they would be at the poll to cast their votes. The places with the fastest Asian American population growth are also some of the most important battleground states. For example, Georgia, Pennsylvania, Virginia and Florida have all seen at least 80% growth rate since 2010. In the state of North Carolina, the number of registered Asian American voters increased by 130% between 2006 and 2014. Interestingly, only 27% of those voters participated in the 2014 midterm elections. The value of the Asian American vote lies in the fact that they are still considered a swing vote, which makes the vote growth a game changer. When asked about the upcoming midterm election, this voting bloc leans towards the Democratic Party on issues such as bigger government, pathway to citizenship, affirmative action, and gun control. On the other hand, the GOP fares better on topics like taxes, jobs and the economy. Asian Americans are enthusiastic about political participation, and the vote remains up for grabs if political parties and candidates engage the group by connecting with them on issues that support their values.